If you think about all the movements your body does everyday, you should be quite impressed with what it accomplishes. The twisting, turning, bending, lunging, reaching stepping, carrying, etc., are all minor miracles in and of themselves. All those movements are occurring with multiple body parts working together in 3-dimensional space. Your body thrives with that kind of variety. An example of this is the lunge. 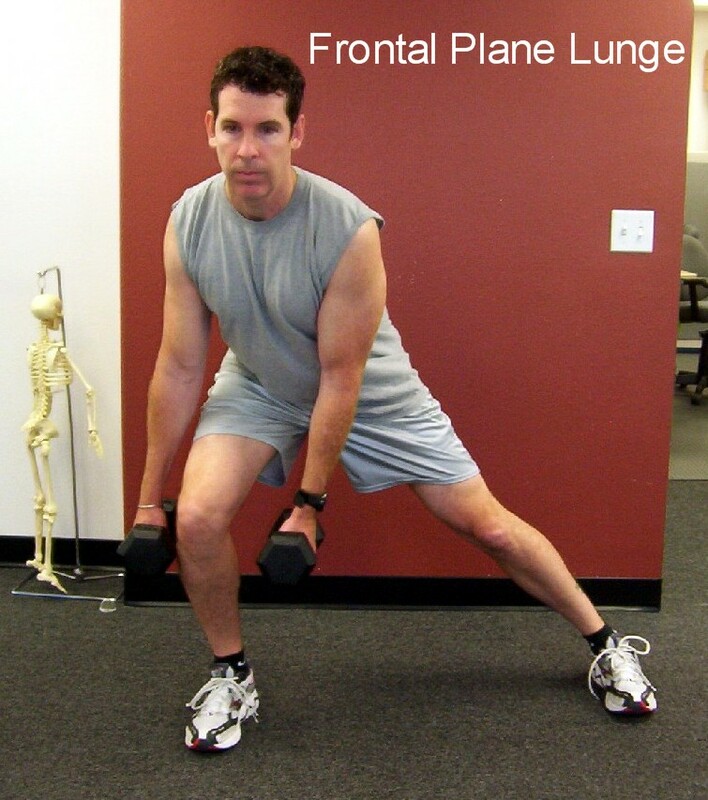 The traditional lunge is done by stepping out with one foot in front of the body=sagittal plane. This is a great functional exercise. Yet the lunge has endless possibilities when we start to incorporate other dimensions in space.For example, stepping out to the side or in the frontal plane challenges our three components of movement distinctly differently than the sagittal plane lunge. In fact, having the toes point either forward or in the direction of the lunge would also create a different response in the body. The same is true for a rotational lunge in the transverse plane. Even changing the orientation of our upper body changes the exercise. For example, if you lunge with your torso vertical, the percentage of work done by your quadriceps is greater than if you lunge with your upper body leaning forward. The forward upper body position decreases quadriceps activity but significantly increases the work done by the gluteus maximus (buttocks). When changing our movements frequently, the motor system has to adapt and learn to figure out the synergy to complete it. Initially, the body works harder as it uses more effort while figuring things out. Working harder means using more energy and therefore burning more calories. If the body uses more effort in the beginning, than just the opposite is true if we do an exercise for too long. The body gets too efficient and is no longer challenged. This is improved efficiency is of tremendous value when training for sport or work related responsibilities. But if your goal is to improve your physical fitness, then spice up your workouts with ongoing variety. Doing the same exercises for weeks or worse months on end is like driving around the fitness center parking lot for 20:00 minutes trying to get the spot closest to the door so you can go in and walk on the treadmill for 30:00. What’s the point? You are currently browsing the Function First blog archives for April, 2009.